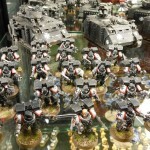 For the Emperor! A Dark Vengeance is soon to be upon us. 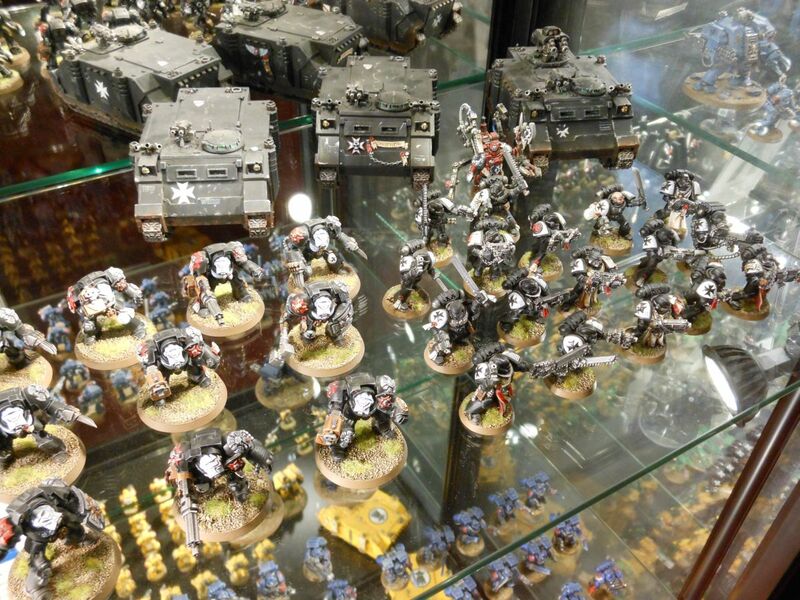 It’s been a few months since Games Workshop released Warhammer 40k 6th Edition and from what I can see, a lot of players feel it’s a good improvement upon 5th. 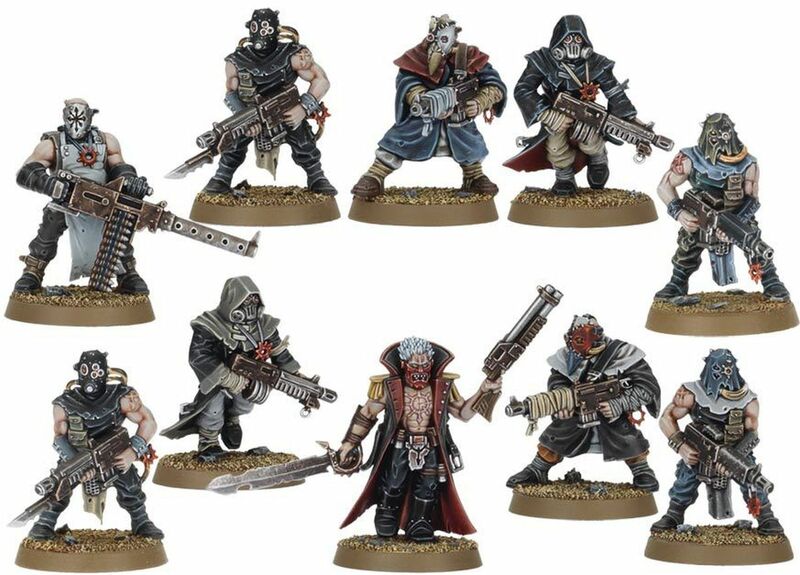 This of course means that over the next few years we’ll see updated codices for many faction but first off, we have the new 2 player starter box coming very soon (1st September 2012). 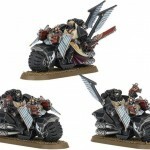 It’s called ‘Dark Vengeance’ and features the Emperors’ Dark Angels against chaos, Crimson Slaughter Chaos Space Marines. We have here a picture of the box (I do like black) and its contents. 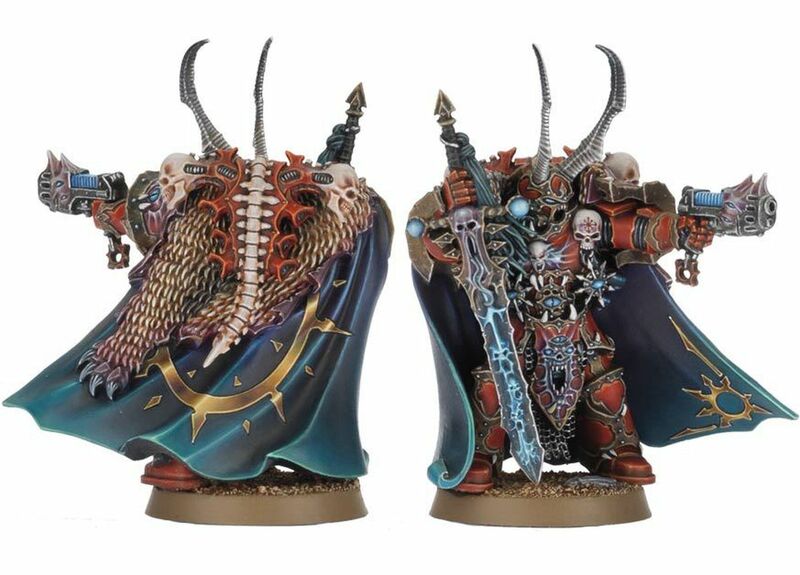 There’s plenty of chatter on the net and there’s not much more to be said at the moment but the images released by Games Workshop make you wish time would move forward and hurry up until release day. 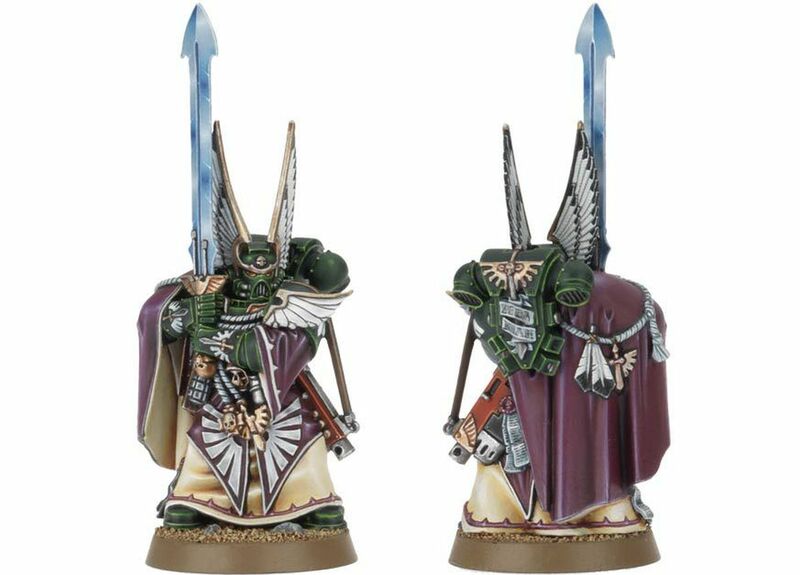 First off they are releasing the Limited Edition of the Box set which contains a limited Dark Angel miniature, that of the Dark Angel’s Interrogator-Chaplain Seraphicus and what an amazing figure we have. Once the Limited Edition is sold out, they’ll be releasing the normal edition. 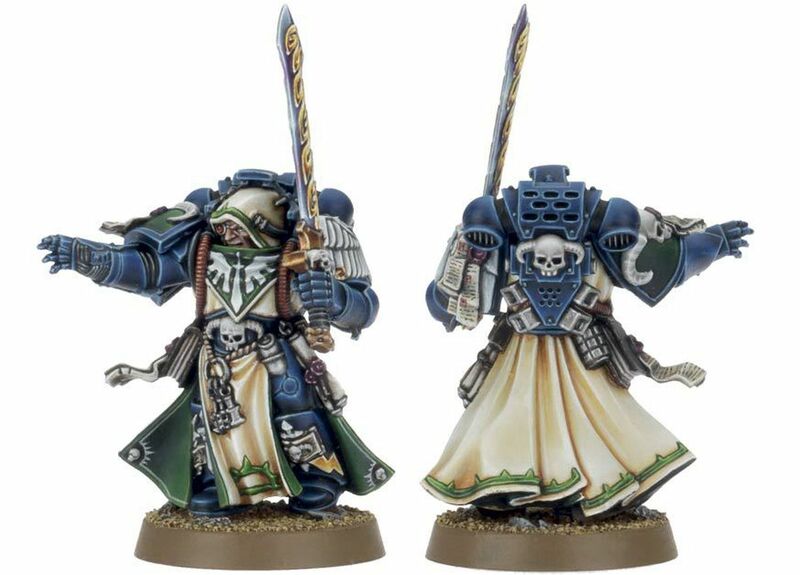 So if you want Interrogator-Chaplain Seraphicus and knowing GW, the Limited Edition will sell out very quick so I’ve ordered my box set from Wayland Games, and I’d ask you to order from them as well (link below) or from your local independent shop. So then, what does this Box Set Include? Well the Limited Edition contains 49 miniatures, plus the much sought after mini-rule book, some dice, markers and more. 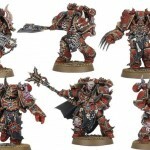 Crimson Slaughter Chaos Space Marine army. Lastly we have the extras in the box. 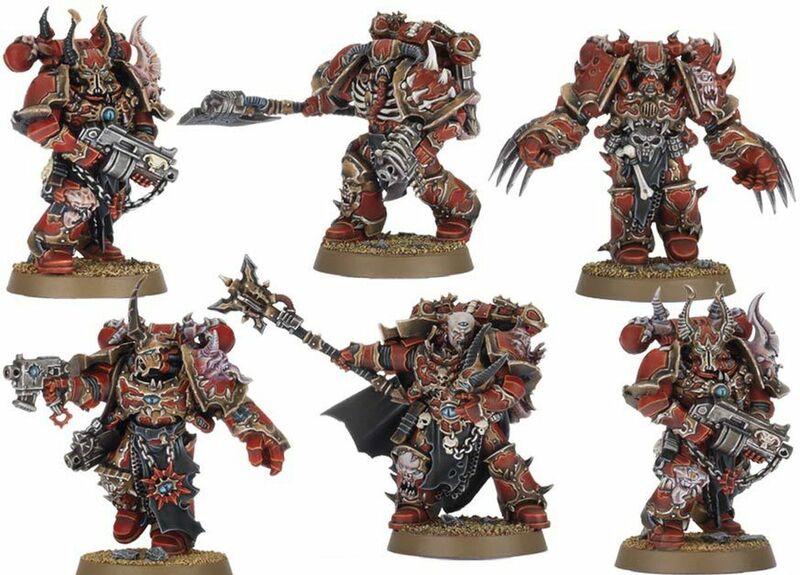 So for your £65 (£58.50 plus P&P from Wayland) that’s one hell of a great deal and the figures do look amazing on both sides. 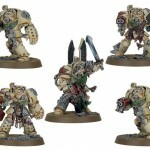 Here’s a gallery of the miniatures (taken from Games Workshop website) and as you can see, you must buy the box even if you have your own Dark Angels/Chaos Marines. 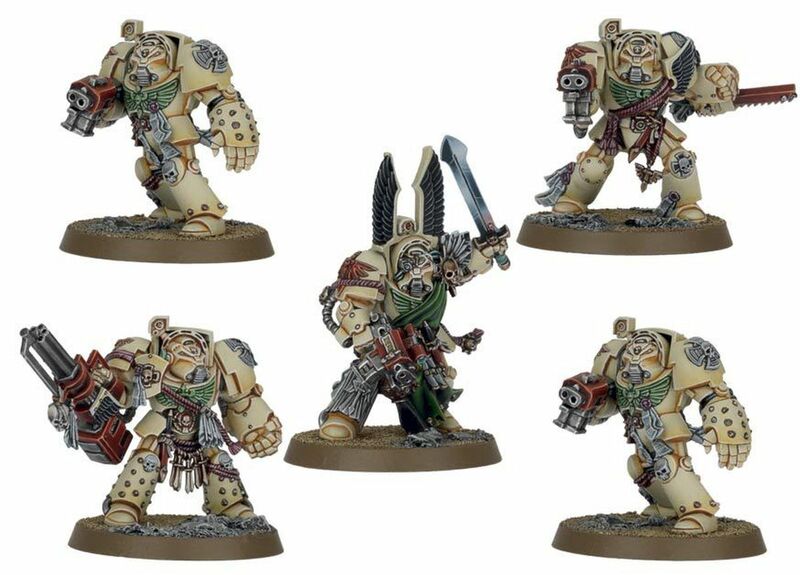 I myself have an almost finished Deathwing Army and now I know where I can find the variance I wanted to help build up the last unit I need…. Not that much to say now really. 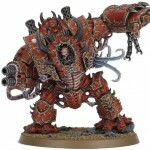 Of course go to Games Workshop website and look at what else you need and then go to your Independent shop or if you shop online use Wayland Games. Anyway until next time (when the box arrives) I’ll let you know what I really think. 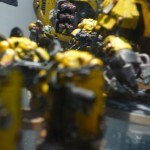 Until then, For the Emperor! Going to War, raising a Viking Great Army – Stage 2 (Part 2) building it. Been a while since I did a post regarding my Vikings, they are still a work on the go but I’ve done enough now to provide you with another update of my Viking Great Army Build. Bondi with Bows (DAV02) – based on 25x25mm. Next on the list would be the final Crusader Miniatures blister Bondi with Spears (DAV003) and there were no spears! The shields, the Vikings but no spears. I tend not to check blisters these days because normally you’ll have everything in them, but I’m missing the spears so time to email Crusader Miniatures. Right that’s the email gone. I’m not going to base these, nor clean them up just in case they want the blister returned. So moving on to my last metal blister, the Arizan Design’s Viking Jarls (VIK12). 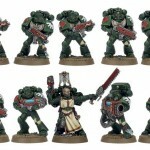 These are the sub-commanders for my army, so these chaps will be based on 30mm round bases. One thing I notice is that the Artizan miniatures are a good fit for scale compared to the Crusader but have a lot more flash to clean. The Crusader miniatures required minimal work on that which is a nice change. I notice one of the Jarls is missing a spear as well, is this a trend? A quick check to the Artizan Design and I see the Viking Jarls do not come with spears. So hold on a bit, do the Bondi with Spears actually come with spears? Let me go check them. What’s that? 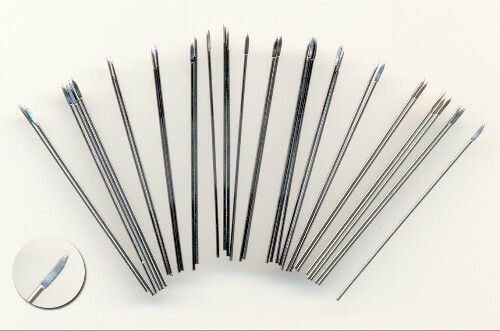 You need to supply your own wire spears – why? That’s a cheap trick, seems they want £5.00 for some wire spears that you can down to shape. So another £5.00 + P&P, I’d rather wish that I had known this before. I feel a bit cheated I have to be honest and I’m off to email Great Escape Games as they really should mention this, or supply some spears. I also feel a bit of an idiot emailing without doing any detailed research, then again that’s me used to buying figures that include everything your require. Time now to post onto the club forum to see what others do. I could buy this spear pack but there will be a lot of waste as you need to cut these to fit. Ok another email gone to Crusader apologising for being too quick to complain. Next I’ve been told to buy the spears from North Star, so I have done. Again it’s £5.00 + 10% P&P but I think the website isn’t very good and the payment portal is total rubbish. What I’m saying here is that I’ve ordered the spears and entered my card details and not a single email has come back yet (it took over 24 hours to get a basic email from them). This gives me an idea but back to my Vikings. A few hours later and I have a number of the Gripping Beast plastic Hirdmen all built up, here’s a few pictures. Made by Renedra Ltd of Wisbech, England (not far from my home town) and made with the same quality that you see with others they produce such as the Perry Miniatures British Line Infantry, and very similar with them are a number of easy to fit heads/arms that make building the models up so easy. As these are the first I’ve done learning what left arms go with what right arms means a few mistakes it’s easy to sort with plastic figures as the cement takes time to bond, glad these aren’t metal otherwise the super glue would mean I have some weird looking Vikings! Casting quality is excellent, very few seam lines around the models I’ve made so far and as previously discussed the arms/weapons/shields are easy to fit, very easy. Each sprue contains 10 Viking bodies (5 different designs repeated) along with 14 separate heads (4 are duplicated) which gives you plenty of variation but also allowing you to keep the Vikings looking like they’re part of the same group. There are plenty of shields (all plain) and weapons which allow you to pose your figures in a number of different ways, however I did find that after the first sprue I had one figure with a spear in his left hand with no matching right arm available. One complaint is that the heads are fixed to the sprue via the top of the helmet so cutting it out, then shaping the plastic is time consuming and can lead to a few flat helmets. I’m sure once the Vikings are all undercoated you won’t be able to tell which were butchered and which weren’t. If I had designed the sprue layout, i’d have added the join under the head, it’s easier to cover mistakes there. Anyway this is a minor complaint really – I should take more time on these but alas I don’t have that. Next models to create are the commands models. There are two small sprues with two models which allows you to create a musician, standard or command model. I plan on making one command, two standards and one musician. That’s the command and one musician completed, time to get back to the rank and file troops. The command/musicians are a bit dull if you ask me. The musician looks like he’s about to fall forward and the horn arm doesn’t allow you to put it into his mouth, what would be ace I think. The heads are a pain though, they’ll joined onto the sprue underneath, ie where the beards are. It’s quite hard to cut them off in one piece and make the beard look good, I lost one head due to slipping and cutting half the beard off! However that’s enough for this blog post. I’ll continue building my Vikings over the next week and let you know how I get on. Going to War, raising a Viking Great Army – Stage 2 (Part 1) building it. Here we go again then, day 2 (was when I started this, it’s now day 6) of the week without kids and now I’m onto the build element of my Viking Great Army. In an earlier blog I mentioned that we’re having a Dark Age campaign at the club in November using the Clash of Empires rules and so I bought a Viking Great Army (VGA) direct from Great Escape Games and then I wrote my army list. To recap, here’s a picture of what I have available to build, and next to that a breakdown of what exactly it is..
Next thing I did was to email Jim (Products of Wargamers) asking him to about the total number of bases that I wanted, plus asking him if they sell movement trays. 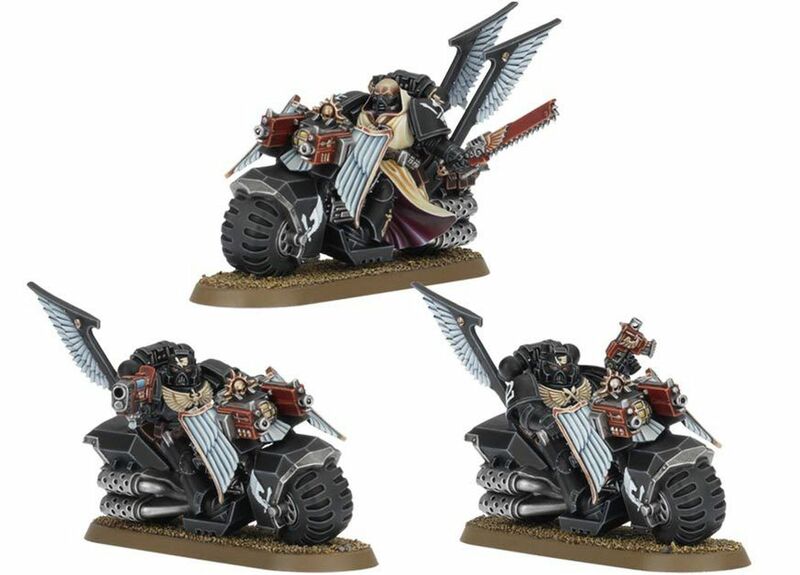 He (as always) quickly replied and told me he could make the bases I required and the movement trays and that he’d be in touch with the costs of them, I’m still awaiting this and the bases – so time to send him another email I think. 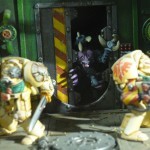 I’ve also bought some Shield Decals and some bases for this miniatures. The Shield Decals were bought from Little Big Men Studio. I asked my club members where I can buy shield decals/transfers and when I look at the Little Big Men Studio I liked what they had so I told my brain to use them. I had a few questions and so I contacted them (via the website) and within a few hours, Steve had replied to me with my answers. Total cost, was for Order 1, £24 plus £1 P&P, Order 2 was £9 plus £1 P&P, total cost £35. If I’d ordered both orders together, it would have cost £37.50, because any order over £25 is sent out using Special Delivery which costs too much I think for a little A5 letter. At this time I’m waiting on these as well, but I only ordered them yesterday so it’s too early to have them. So what i’ve started to do is to remove some of the models (the metal miniatures to start), clean the seams, the flash etc and glue their shields on so that as soon as the bases turn up, I can glue and then get them undercoated. Here’s a few pics of the Hirdmen Command made by Crusader Miniatures. Behind those you can see the Gripping Beast Plastic Viking Sprues, these will be done post all the metal figures. These chaps will be the first I paint of my Vikings, I think they’re excellent..
Next up comes the Crusader Miniatures Bondi with Bows, this time a pack of 8 miniatures rather than 4 as shown in the first 2 packs opened and dealt with. So that’s all for Part 1, Part 2 will show the further metal miniatures opened up, cleaned and photographed, 3 more packs of Crusader Miniatures and 1 Artizan Designs. I have to at this point comment that the Crusader Miniatures are excellent, nicely detailed without going over the top and pretty clean casts, not a lot of seams or flash to clean off. But my main gripe is that any packs of 8 (that i’ve opened, ie the Bondi with Bows) just repeat the models twice, rather than having 8 different figures. Right, it’s busy here, the new house extension is underway and i’ve worked enough hours this week to quality for a full working week. So my plans for my blog for the rest of the month. 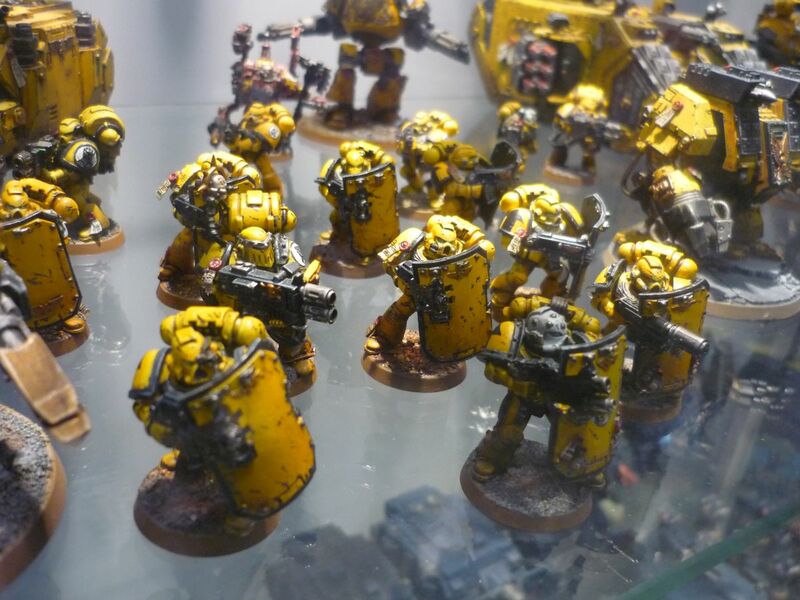 Add a new page for painting services that I’ve used or are currently using list what I’ve used them for, examples of their work, prices and contact details. Think of this as free advertising – it’s more of a thank you. Update on my Clash of Empires Viking build. Bases that I purchase, for what reason, who from and what I’ve done with them. Update on my EoTD Gentlemens club/Darkfire Club. Black Powder plan update – where am I with them all. Lastly try and find online some plans for a Time Machine, if someone has invented one and posted it somewhere, Google will have it indexed. That’s a lot to do on top of doing what’s in these posts, plus I need to make a series of headers as the header at the top is random…… currently (8th August it’s a choice of two). Right off to continue with the above whilst I work on other projects. This is my new home, my very own domain and hosting. I’ve now transferred over all the old posts, but the images are being a pain, so slowly I’m updating the older posts…. bear with me whilst normal service resumes. I could just ignore them and work on newer blogs, we’ll see. So pull up a chair and have a sit and catch up, plus don’t forget to book mark this site and not my old one. However if you feel the need to read an older post, go right ahead, you can still access my old site here. When you’re used to paying GW prices other systems seem so much cheaper. Yet there are times when you see some amazing deals that seem to good to be true. 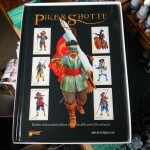 Recently it’s been bought to my attention that Warlord Games have released Pike & Shotte. A set of rules based on Black Powder for wargaming in the 16th and 17th centuries and now Warlord Games have released starter sets for just £60. That, as I hope you agree is quite an amazing deal. 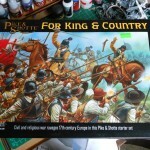 So if you fancy playing English Civil War or Thirty Years War or any other battle/war in the 16th and 17th Centuries then pick up these rules, and better still pick up a starter box and find someone else who wants to play. Go down to your local bricks and mortar shop and order it, or go online and use folks such as Wayland Games. I plan to make a Parliamentarian force, so looking for those of Royalist blood. Right I’ll leave you now with some pictures of the box, I’ll not be putting any of these together just yet as I’m still working on my Vikings, but I have taken the time out to get excited. Going to War, raising a Viking Great Army – Stage 1 planning it. Here we go then, I have a week without kids and so apart from the normal working day and the call of the pub in the evenings I have some spare time. In an earlier blog I mentioned that I picked up the Clash of Empires war games rules and bought a Viking Great Army (VGA) direct from Great Escape Games and that I planned to partake in a short CoE campaign at the club. Plus as a bonus for buying the Age of Ravens source book I also received a Viking Lord Miniature (I need to find out where he’s ‘safely’ stored). Right then, where to begin? 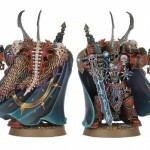 First I’ll look at how to base these models. Reading the rules the Hirdmen/Bondi will need to be based on 20x20mm bases because these are classed as ‘closed’ infantry. 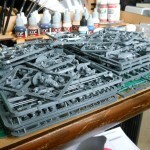 It would also then make sense to put the bases on movement trays to make that all easier to move around. The Bondi Archers are classed as skirmishers and so will require 25x25mm bases. Looking through the rules, seems 6 is an accepted frontage for a unit of Vikings. With 20 Bondi that’s 3 rows of 6 (18) with 2 behind. The Hirdmen number 96 (88 plastic, 4 command and 4 Berserkers) which makes for 3 larger units of 32 or 4 of 24 and works out well with 4 ranks of either 8 or 6. This should mean that with a Berserker in each unit I shall get 2 more attacks added to the number of models in the frontage (not taking into account their commander/generals extra dice). There are rules that benefit both the wider frontage and the number of ranks you have. The wider your front the more attacks you get, the deeper your ranks the more bonus to the combat resolution score. So it’s important to maximise both and with that knowledge I would think 8 with 3 ranks would work best. 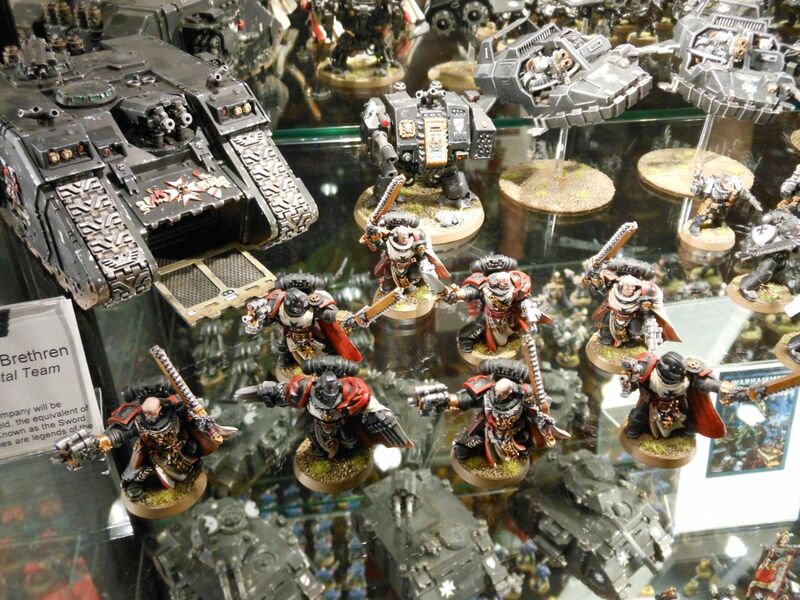 Next we come to building the army list, for that I need to use the Age of Ravens source book as it has the VGA army list. Reading Age of Ravens tell us that our army must be built using the following rules. May include up to 8 other core units. Now that we know what we have to include and what we may include we can now take the 2500 limit for the Clubs CoE Campaign and start to design. That’s all the easy bits done. I need to order up the bases and movement trays, I’ll use my normal suppliers Products for Wargamers as they are cheap, efficient and generally good folks. Counting the bases, 20x20mm I will need approx 118 of them, 8 of the 25x25mm, 3 of 30x30mm round (Hersirs) and 1 of 40x40mm (Konnungr). I’ll write an email in a moment (sent it) so that’s all done and dealt with. 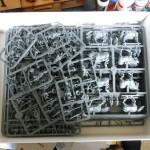 That’s it for preparation, next we come to building the miniatures that’s part of another post and now it’s time to do something else, i’ll start on these later today – 130 odd models will take their time…..
Sons of Medusa – Badab Wars Chapter – A new project? Just as I thought I had enough on my plate I go and post something on a Facebook Group and then get an idea about a new project for the upcoming Warhammer World Doubles Weekend November 17/18th. 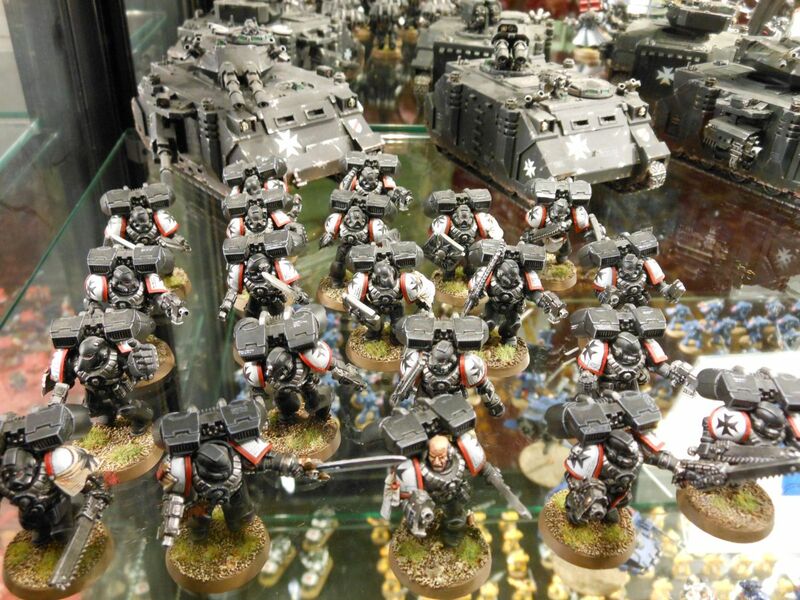 However my brain wakes up the following day and I notice that it’s a WARHAMMER event NOT Warhammer 40k…. but still…..
A friend of mine has built a few of the Badab Wars era Chapters and I’ve always been wanting to – just never found one I liked them blammo! Dan suggests the Mantis Warriors and I pull out the Imperial Armour Badab Wars Part II Book turn to page 64 and there they all are, in their lovely colour plate glory, but a further flick and I see the ‘Sons of Medusa’ another great looking Chapter, and a quick review of them and it’s them I choose. But as with all non-supported Chapters the lack of official shoulder pads/decals is a pain. 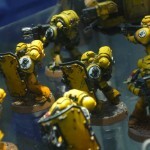 Fear not though, a quick look on google and I find that the Bolter and Chainsword forum have a pretty impressive project – they have a series of Decals for a lot of chapters, here is the link. 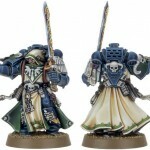 So I locate the Sons of Medusa and find two decals, the main issue being that I can only print these in black and not white like they are, I cannot freehand the number I would require, but what I could do is paint a white circle and then put the decal over the top, giving the impression of the white background. Here’s the link to the PDF that I think I shall be using. Of course to print these decals will require decal paper and an Ink-jet printer, I have neither and the latter is probably expensive to acquire just for a sheet of decals. I shall look into this, it’s possible I can borrow one, but here are a few places that you can acquire what you need and some instructions. Next comes to the question of what force. Well if this is to be a 750 point force for the doubles, then we don’t have a lot of points to mess with. 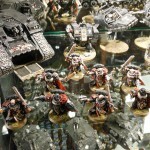 The last item on that list is the different item, we must bring a Heavy Support unit, nice. 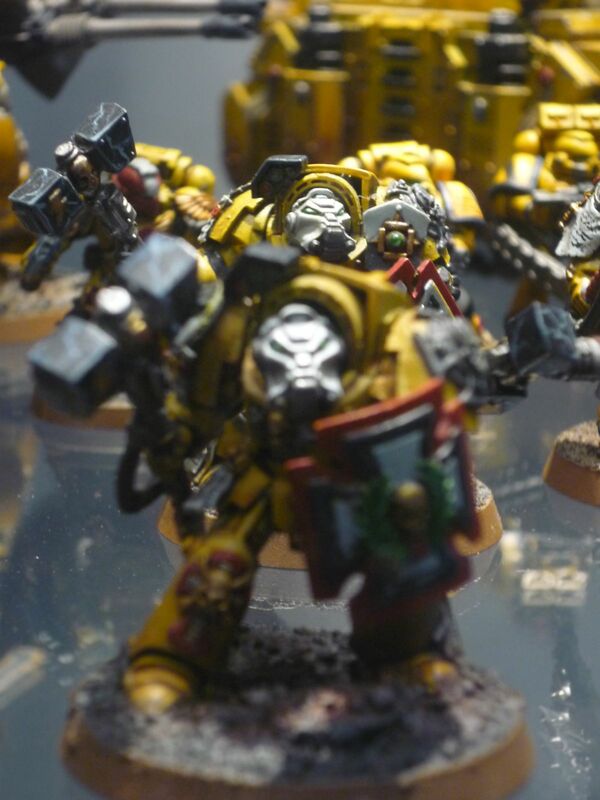 The list also allows me to add (for 50 points) the boarding assault shields (Siege Mantlets) which allow you to re-roll your armour saves against shooting attacks. 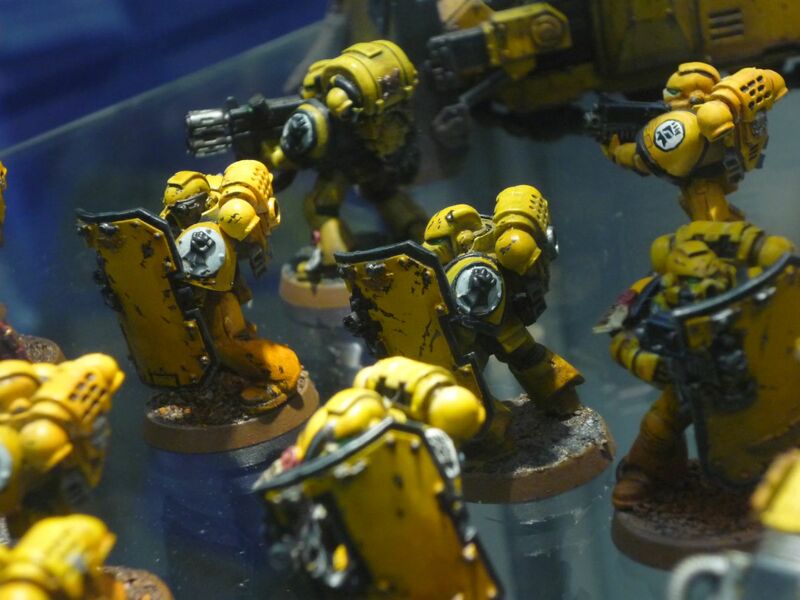 So against most attacks they stand a darn good chance of surviving, plus we get to field these, which when painted up look like the chaps on the right (Imperial Fists Chapter). 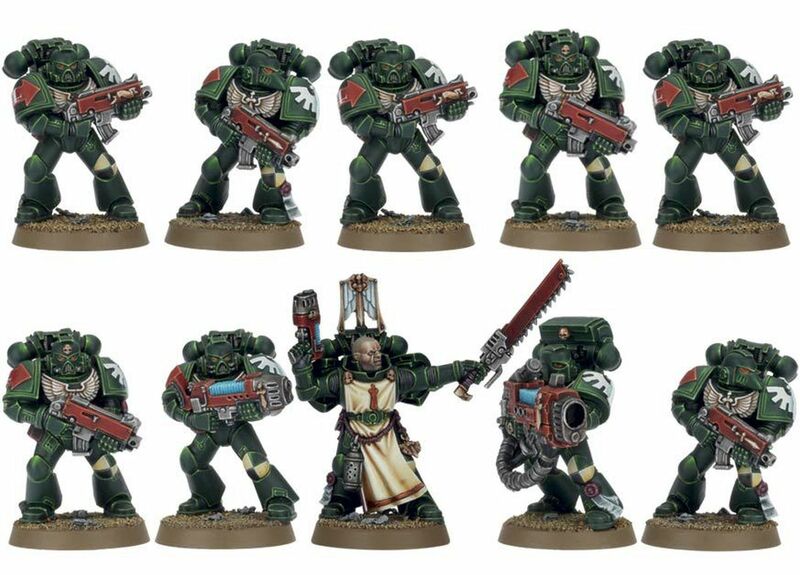 I fancy buying them just to paint them, need though to come to terms with the colour scheme for the SoM, a spray is required, perhaps Army Painter Green. 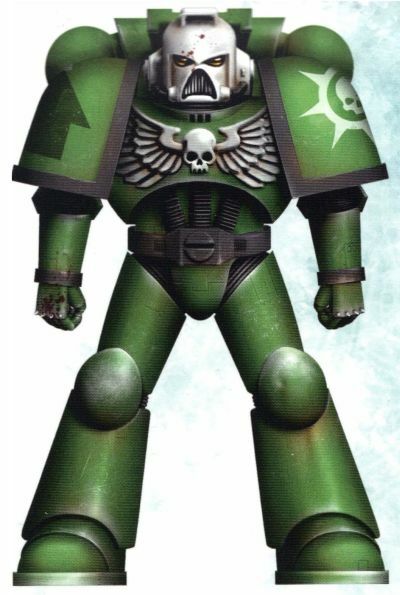 Then a lighter green to start to build up the highlights, as I prefer to use Vallejo paints these days, a Vallejo green would be good, but with a bit of luck I found this using the power of Google and then via a Dakka Dakka link. 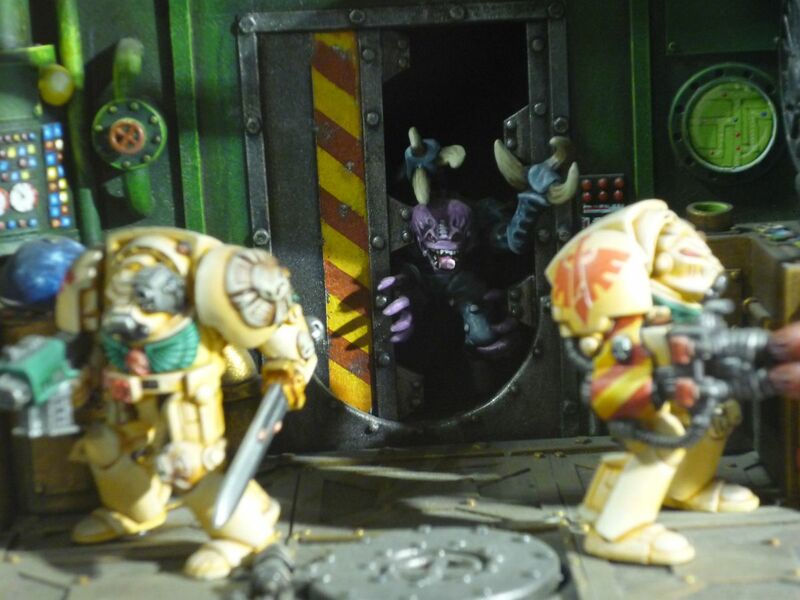 It’s quite a long video but goes from start to finish (uses an airbrush for base colour/highlights) but is a great guide, and I will be using it (and it gives me an excuse to get the airbrush out!). 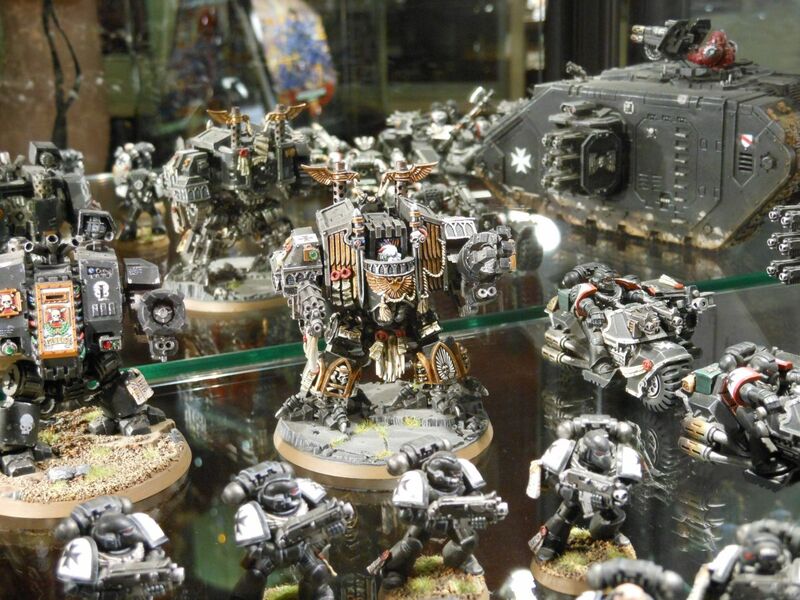 So next time I’m off into town I shall pop to Wargames Emporium and pick myself up the missing paint colours that I need. 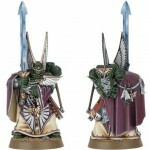 I’ve not made a list but it’s perhaps just the greens I need, I know I have the Airbrush Silver for example. 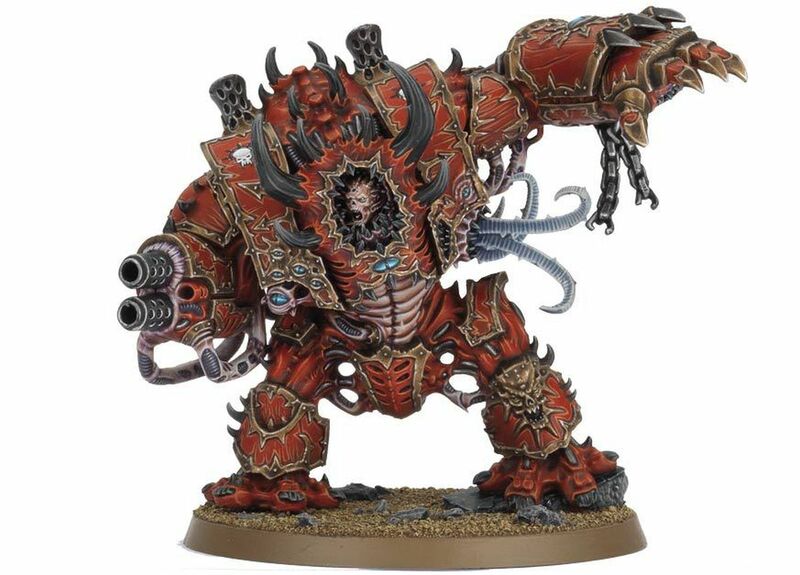 One thing that is interesting is his ‘wash’, an oil based wash that he can wash off, makes me think of the gloss varnish wash, either way Id use a GW wash and be more careful with it – but I do understand that they taint the colour and you normally have to repaint/highlight something – perhaps time to try something new. Right then, it’s a deal. I shall make the SoM, it’ll be a winter project. 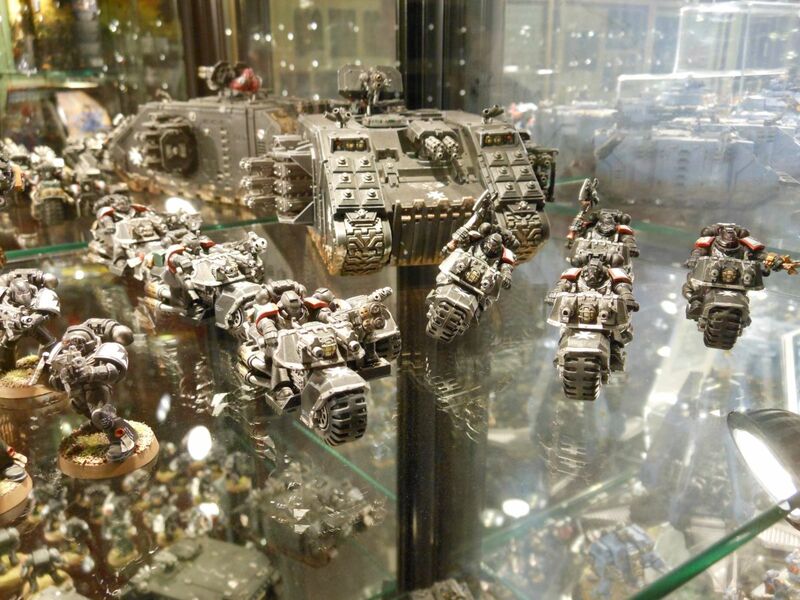 I’ll talk to Dan, get a decent 750 point list, buy it, build it, paint it and then play it. So where was I, writing a follow up to this blog post…. Oh yes, my friends eldest and I had just finished our lunch (I had the fat slob double burger thing – quite nice) and so after my hip flask purchase we ambled upstairs into the hall of miniatures. Mighty impressive I think and a touch of humour as well in places. 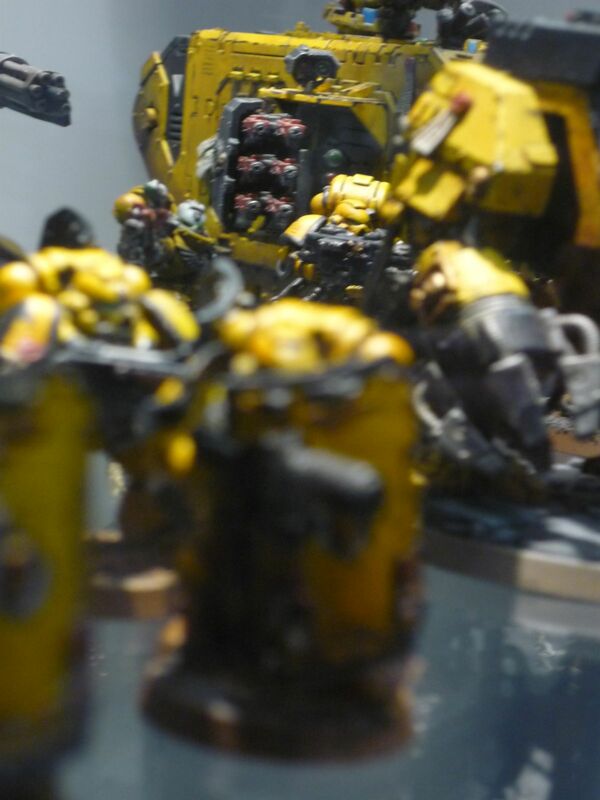 Once again my lack of ‘I have a camera, let’s take lots of shots’ has caught me out here, but I took some (mainly Black Templar) and my friend took a lot more (see the Eldar Titan), so here goes the pictures in a nice gallery format. 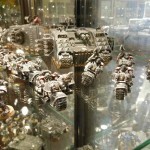 Well it was time to go to the Seminar ’40k – Designing the new rules’. 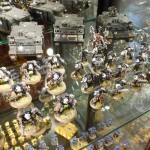 It was being held in an area through Bugmans Bar where previously I’ve eaten during a Forgeworld event. Sitting on some sofa’s on a stage were Jeremy Vetok, Jervis Johnson and Matt Ward. Sorry that I didn’t take pictures, again brain freeze. Then the session ended, it was a very quick hour. 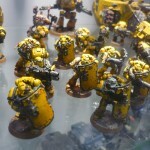 I approached Matt Ward and first fumbled my ‘to find my autograph pen’ roll and he signed my 40k Collectors Edition using his own pen. 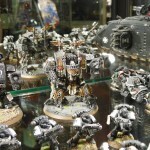 We had a brief chat about Blast templates and why Orcs are as accurate as Space Marines. At first he didn’t get my point, as Marines have a BS of 4 and Orcs 2 so Marines would deviate 2″ less, it was then I pointed out that both had a 1 in 3 chance of hitting due to the dice having 2 faces with a hit. Then he got it, explained again it was an older rule, but sadly didn’t suggest that there would be any changes in the future. 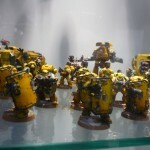 Perhaps it’s a bit too early to plan 7th Edition, but I suspect it’s not, I suspect things were wanting to be changed, but didn’t make the cut. I also get the impression that they couldn’t have too many changes so the existing player base and I can agree with that. 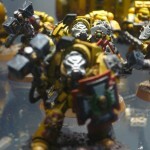 A quick chat with Jeremy and he signed my book, top man really – really really into the passion of the 40k universe. After a few more chats it was time for the trip home. It was a good day, I enjoyed it. I could have (and should have) made more of it, I was a little shell shocked, tired really as it was a long round trip – but I may go back in November for a painting Masterclass session…. perhaps the Hive Tyrant, not sure, the cost isn’t the issue – it’s what I get out of the day and I’m not a fan of doing these things solo. However I did manage to get my 6th Edition Collectors book signed by Alex Boyd, John Blanche, Jeremy Votek and Matt Ward… a few more names to get I think! 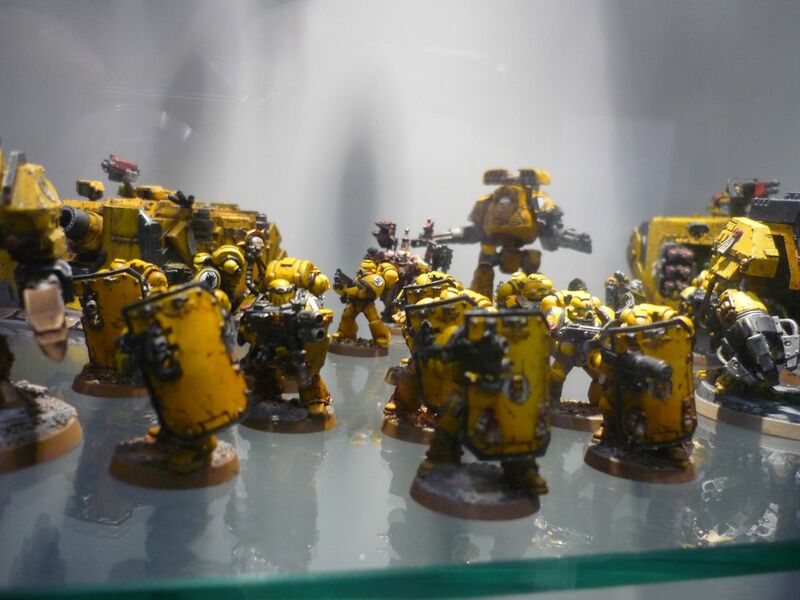 Right, i’ll sign off now, I am thinking of doing a further blog post on this, mainly the additional pictures, not sure yet, but I’ll leave you with some excellent pictures of the 1st Founding Imperial Fists Chapter..